This product is suitable for quickly removing scratches by 1200 grain or finer sandpapers, in addition to excelling also at removing other defects such as acid rain and holograms for a perfect car finish. 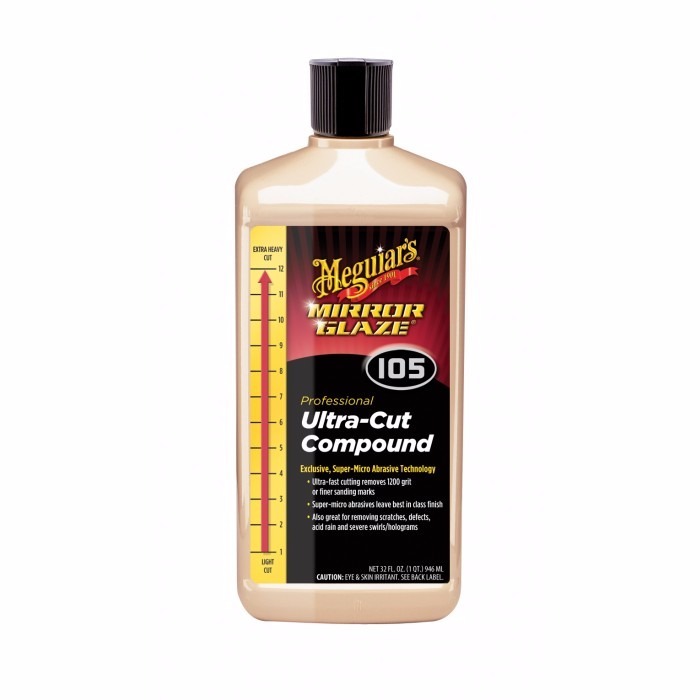 The Ultra-Cut Compound by Meguiar´s, with its exclusive Super Micro Abrasive Technology (TSMA). This product is suitable for quickly removing scratches by 1200 grain or finer sandpapers, in addition to excelling also at removing other defects such as acid rain and holograms for a perfect car finish. Suitable for use on any painting type. Safe for use in repainting workshops.